Tolken, of the blog In My Words (see sidebar), led me to Alexia's story. 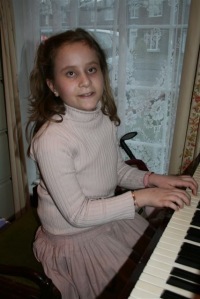 Alexia is a 10-year-old English girl who lives with her family in Cambridge, UK. What has made her life special is that she went blind at the age of two. Courageous and undaunted, she has pressed ahead with her education, and one of her talents is for languages. Her story has been widely reported in the press and by the BBC since she won an award as a Young Achiever. Because she has long wanted to be an interpreter, she chose as her prize a trip to Brussels, where she was allowed to shadow a European Commission interpreter for a day and even do a few minutes of interpreting herself. For more details of the trip, see References below for the website that her family maintains for her. I just want to add a few remarks from the viewpoint of this blog. * All the reports give prominence to the fact that Alexia has passed the GCSE in French and Spanish with high marks. The GCSE is a secondary school finishing examination in England, so it means she has achieved at age 10 what is considered an achievement for most adolescents at age 16. * We don't have actual video or transcripts of Alexia's interpreting, but it's clear she's well beyond the stage of Natural Translation and must be classed as a Native Translator. Her knowledge of what interpreting is shows she already has metalinguistic awareness of translation. Her father remarks that she was stuck for some of the vocabulary in the actual interpreting she did in Brussels, but she was listening to discourse of a level that is usually fed to Expert Interpreters and she didn't have time to prepare for it. * It's difficult to tell what Alexia's level of self-expression is from her blog, because the writing of the posts is attributed to her elder brother or her father even when the first person is used. However, we have videos, and there she expresses herself very clearly for a child of her age. She writes poetry. There's no doubt about her general cognitive ability. Whether Braille is itself a 'language' or is a code for relaying languages (like Morse Code, for instance) is debatable, because skilled Braille readers use Grade 2 Braille, which speeds up reading by incorporating many contractions, and these have to be learnt. "As with most human linguistic activities, Grade 2 Braille embodies a complex system of customs, styles, and practices. The Library of Congress's Instruction Manual for Braille Transcribing runs to nearly 200 pages." .Anyway it's tactile, so it requires a different sensory perception. English - Braille - Grade 2 Braille: yet another form of bilingualism. * Alexia likes music. She plays the piano and the recorder and sings in choirs, another of her accomplishments. She's not only a Native Translator, she's a Native or Expert Musician. Music is yet another quasi-universal natural ability that becomes specialised and socialised into diverse 'languages' in different community cultures. Is there any connection or correlation between musical ability and interpreting ability? Pure speculation, but worth looking into. * A person's microphone voice never sounds quite like that person's voice heard directly. From videos of her, we can tell that Alexia has a very clear microphone voice and impeccable Standard British English pronunciation. The former is an advantage for any conference interpreter, while the latter is a desirable attribute for a working professionally in Europe. * Can a blind person work and succeed as a Professional Conference Interpreter? In fact Alexia met two blind interpreters in Brussels. There is (or was) a blind interpreter in the Canadian parliament, and although I never worked with him I heard about him from colleagues. They told me he could indeed function in that context, but he needed assistance. It wasn't because of his translating ability, but because of something that few outsiders know about conference interpreting. Much of the input doesn't come only by listening to the speakers but from written documents that the interpreters have in front of them. More about this some other time, but in brief the interpreters have to listen, translate and read at the same time, using two input channels. At the extreme, the interpreters may even be provided with a previously prepared translation to read from, yet they still have to listen to the speakers in order to synchronise with them. It's called sight interpretation (by analogy with sight translation – see Terms below). In addition, there's the matter of all the background documentation that interpreters should skim through in preparation for a meeting. Anyway, Alexia's motto is "Anything's possible," so if she wants to be an interpreter she will be. Shadowing: repeating what a speaker (or, in Alexia's case, an interpreter) is saying without translating it. An excellent exercise for improving second-language pronunciation and intonation. Sight translation: translating a written text orally. So it's a hybrid of written translation and interpreting. Faster and more economical than writing the translation. It's more widespread than people realise, much of it in the form of dictated translation, in which a Professional Translator dictates into a recorder for transcription by a secretary or, nowadays, into a computer equipped with speech recognition software. Alexia Sloane. Blog. http://alexiasloane.wordpress.com/. It has links to other material about her. It was Şebnem Susam-Sarajeva of the University of Edinburgh, an authority on music and translation, who first aroused my awareness of fans translating popular song lyrics. She asked me if I had any information about it; to see the posts, enter sebnem in the Search box to the right. That was back in 2009, and I had nothing to offer her. Since then, however, translation crowdsourcing has expanded greatly and has become a significant method of translating for the public, along with professional translation, machine translation, etc. So the other day, I came across just the kind of thing Şebnem was looking for. It's the web platform Lyrics Translate. It offers "42,849 lyrics translations in 63 languages". (There are some surprises among the languages, like Scots.) It has sections for "Request new lyrics translation" and "Translation help needed." In this last it issues an invitation: "Become a translator, help others, get respect and gratitude." So this is not for professionals per se: the reward is kudos, not money. Obviously it's fansubbing, and all bilinguals are welcome to try. Taking a quick look at some of the products, my impression is that these are translations that give the meaning of the original words and hence are helps to understanding, not adaptations that would fit the music and be singable. Two different purposes. Here's a sample. It's from Edith Piaf's Padam Padam. 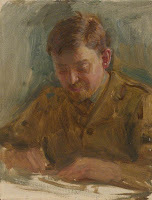 Apart from the lyrics themselves, this website offers something that's particularly valuable for research, namely a brief 'Profile' of many of the translators. Some of them actually are Professional Translators – taking time off to do translate something more amusing than their daily fare, I suppose. For example, 'melaron90', who's in her second year as a Linguist in the United States Marine Corps, whose native language is English, who's fluent in Russian and Spanish and has also studied Arabic, German, Italian and Japanese. The Profiles have a classification into several levels. However, the levels seem to be based on the number of translations submitted, not their quality or the qualifications of the translators. The highest category – and by implication, I assume, the most experienced – is Translation Deity. After that, in descending order, come Senior Translator, Translator, Junior Translator and Novice. I'm particularly interested in the category Junior Translator, which seems to be used often for translation students. For example, 'Chantrisse' from Northern Spain, whose real name is Silvia Sánchez López and who's a translation student at the provincial town of Soria, where there's a university school of translators that I happen to have visited. Translation school students form a transitional category of translators, more savvy than Native but not yet Expert. The provenance of the translators is as wide as their backgrounds. To take a random couple of examples, there's 'jumpiol', real name Omar Pinto, a Senior Translator who's a software engineer in Culiacan, Sinaloa, Northwest Mexico and is fluent in Spanish, French, Italian and Russian. Or ‘rakiuzo’, real name Hüseyin Avni Dağlı, a Translation Deity, who translates from Russian to his native Turkish. They may be 'hobby translations', but for some it's a serious hobby. 'Birdman', who did the Padam Padam translation above, has posted translations of 20 songs and that's typical. Yet it's nothing compared with 'Lady_A' from Bucharest, whose main occupation is financial specialist and who's done 580 translations. So it’s not surprising that her category is Translation Deity. There seems to be a great deal of data to be mined in the Profiles by a researcher who has the time to do it. Şebnem Susam-Sarajeva (ed.). Translation and Music. Special issue of The Translator, vol. 14, no. 2, 2008. Silvia Sánchez López. Chantrisse!... she says I began to sing long before I could talk.... http://chantrisse.blogspot.com. 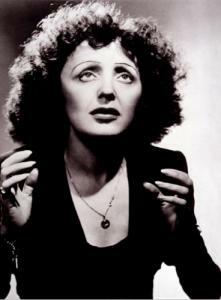 Image: Photo of Edith Piaf from Lyrics Translate. Hobby translation. This is a manifestation of something I've called attention to several times on this blog, namely translating just for the pleasure of doing so (enter pleasure in the Search box). In the case of child Natural Translators, we called it ludic translation. However, it's worth a term of its own, and this one can be used for adults and Experts. From the American Midwest comes an encouraging story of 'real world' translating done by Native Translator high school students. 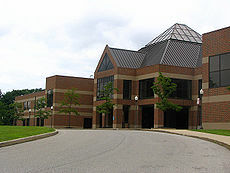 The school is Hudson High School at Hudson, Ohio (see photo). It dates from 1885. It teaches grades 9 to 12 and it teaches Spanish. A group of the fourth-year Spanish students are applying what they have learned in order to help a good cause. They translate letters sent from foster children in Zaragoza, El Salvador. In the spring and fall, the COAR Peace Mission in Wickliffe, Ohio, receives about 700 letters from foster care children at the COAR Children's Village in El Salvador, according to Mary Stevenson, executive director of the Mission. "The letters are written in Spanish and must be translated before we can send them on to the sponsors," Stevenson explained. "Sponsors are located throughout the U.S., Canada, Australia, Ireland and England." Stevenson has translators from about 12 schools in Ohio. Hudson is just one of them. "Hudson students regularly complete 100 letters, fast and accurately," Stevenson said. "That is not easy when you consider many of our foster children are very young and make spelling and grammar mistakes." "The children of COAR write about games, school activities and holidays, which forces the HHS students to dig deep for cultural information and vocabulary," she said. "I also know that if we get caught short, if 50 or 100 letters come to us late in the season, it is Hudson we go to first to help us out of the jam. They always come through. If it weren't for the high school translators, I'm not sure we could run this program so well." Students find the work both educational and fun, according to David Nelson, a Hudson junior. "It is a fun activity for our Spanish 4 class but it also makes you feel good knowing that you are helping people," David said. "I also enjoy translating the letters because it gives me a real life scenario where I get to use the Spanish I have learned over the past four years." Translating the letters in class is sometimes difficult, but always rewarding, according to junior Sara Crane. Helping also leaves the students with a good feeling, knowing the children "sincerely appreciate our help," said junior Megan Bisbee. "Our help makes it possible for the sponsors to communicate with the children they support," she said. According to Dr Rebecca Wiehe, another HHS Spanish teacher, "They really love it. Through the project, the students get to read real Spanish instead of 'textbook Spanish'." 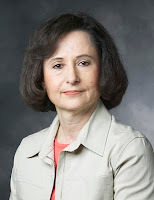 "Students also learn that translation is not just looking up words, it is about meaning," said Martha Pero, HHS Spanish teacher and world language department head. "They spend time making the sentences sound correct in English instead of giving the literal meaning,"
This last remark confirms that a minimal amount of translation instruction is given and that these are Native Translators, though I would dispute that Natural Translators translate word for word and not for meaning. "The students also learn about the culture of the children, many of whom are without parents or family," Pero added. "The grades and grade levels are much different than ours. They learn that the Catholic influence is prevalent in their writing. There are many references to God." There are a number of admirable things about this project. The teachers at HHS are to be congratulated for having confidence in their students' translating ability and for hitting on texts that match it both as regards their level of Spanish and their knowledge of the world. The students benefit by extending their knowledge in both respects. Furthermore, they enjoy translating because working for the NGO not only helps a good cause, it provides that essential ingredient of language learning: motivation. Tim Troglen. Gained in translation: students translate letters from El Salvador. Hudsonhubtimes.com, April 3, 2011. http://www.hudsonhubtimes.com/news/article/5009182. Hudson High School (Hudson, Ohio). Wikipedia. http://en.wikipedia.org/wiki/Hudson_High_School_(Hudson,_Ohio). Not so. Neither translation nor language brokering figures in the quite thorough index. Even Guadalupe Valdés (see photo), who has elsewhere edited a book on language brokering (see References), and whose family casebook study of bilingual language acquisition in the present volume makes a very interesting story, doesn't mention them. I: eres tú eres bilingüe, te sientes tú que eres bilingüe? I: no completamente, qué sería ser completamente bilingüe? M: ah no... sí hablo en español pero no pienso en español, pienso en inglés. M: y si podiera pensar en español e inglés, podía ser bilingüe. [Are you bilingual? Do you feel you're bilingual? Not completely. What would it be like to be completely bilingual? I do speak in Spanish, but I don't think in Spanish. I think in English. What does it mean, to speak in one language but to think in another? I can conceive of two primary explanations. The first is to compose the message in language A, silently and to oneself, and then translate it to language B for utterance. A common process that usually causes some 'interference'. The second is to speak in language B but to think in a way that is typical of members of the speech community of language A. Probably Marisa meant the latter. It's not what is usually meant by translation, but a reader's letter in the current issue of The Linguist calls it cultural translation and gives amusing examples (see References). There are also possible combinations and amalgams of the two processes, linguistic and cultural. Linguists have long discussed whether our languages affect the way we perceive the world, the Sapir-Whorf Hypothesis of linguistic relativity. In any case, 10-year-old Marisa's interesting definition of complete bilingualism exhibits a high degree of metalinguistic awareness. Kim Potowski and Jason Rothman (eds.) Bilingual Youth: Spanish in English-Speaking Societies. Amsterdam: Benjamins, 2010. Benjamins has generously made most of it available through Google Books at http://books.google.com. Guadalupe Valdés. Ethnolinguistic identity: the challenge of maintaining Spanish-English bilingualism in American schools. In the above Potowski and Rothman book, pp. 113-148. Guadalupe Valdés (ed.). Expanding Definitions of Giftedness: The Case of Young Interpreters from Immigrant Communities. Mahwah NJ: Laurence Erlbaum. 2003. Michael Mould. En route to cultural translation. The Linguist (CIOL, London), April/May 2011, p.26. Metalinguistic awareness: conscious awareness of language processes, especially the ones going on in our own minds. The Chartered Institute of Linguists (CIOL), in London, runs one-day courses for "interpreters and those interested in interpreting." The course this month, April, will be an Introduction to Note-taking for Public Service Interpreters. For more information, email training@iol.org.uk or phone 0207-940-3169. Is Crowd Sourcing Awakening Academia? As Followers should be aware from earlier posts, crowd sourcing is changing the seascape of Advanced Native translation. Now the rising tide is even lapping against the walls of academic translation studies and one of its bastions, the University of Manchester. Well, almost. On Saturday 21 May, from midday to 2.30 pm, Dr Luis Pérez-Gonzáles, Senior Lecturer in Translation Studies at said university, will give a talk that "will focus on amateur translation" (his term for it – fair enough.) It has the very academic-sounding title Emerging Forms of Mediation and Intervention in the Audiovisual Marketplace. However, the talk won't be at the university itself but to the North West Society of the CIOL and at the Manchester Youth Hostel Association (YHA) building. "Contact the Society for further details." Incidentally, have you noticed how many academic writers in English on translation studies have Spanish names these days? TS is a hot subject in Spanish universities, a bandwagon for the old Depatments of Philology.